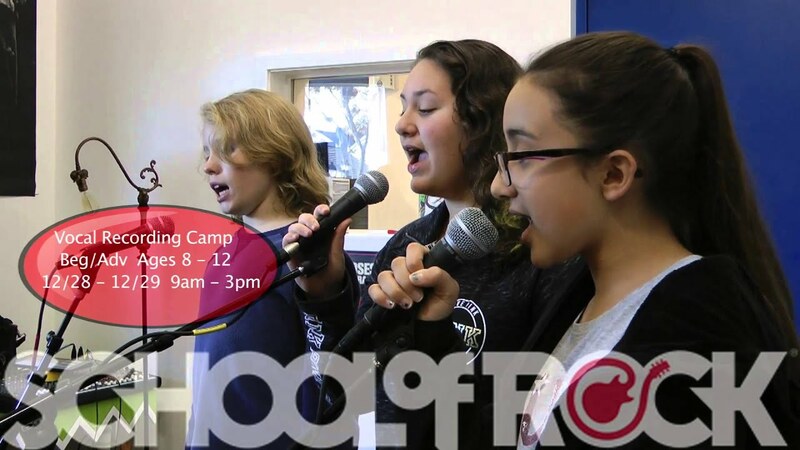 School of Rock San Ramon’s music teachers are experienced musicians devoted to helping students attain musical proficiency. 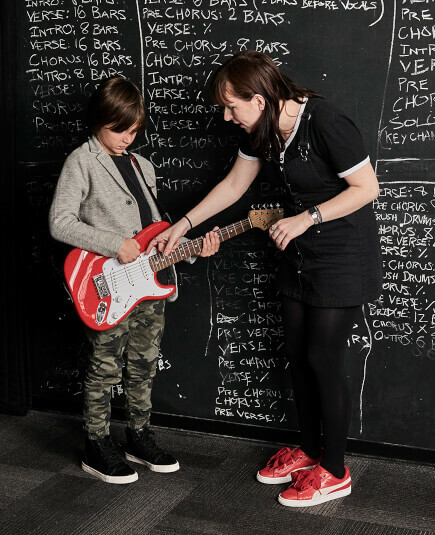 From singing to drums to guitar, our San Ramon music instructors are professional musicians and inspire and teach students to perform live. 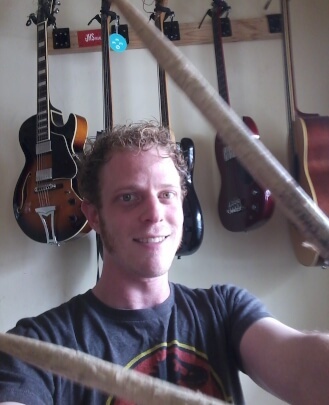 Jeff Wheeler has been playing drums for 18 years and teaching drum lessons privately for five years. He studied Music Performance at Berklee College of Music as well as at Cal State East Bay. He currently plays and performs professionally throughout the San Francisco Bay Area. He works with multiple local acts in the genres of pop, rock, funk, reggae and hip-hop. He also performs in the high energy, award-winning percussion ensemble known as Street Drum Corps. 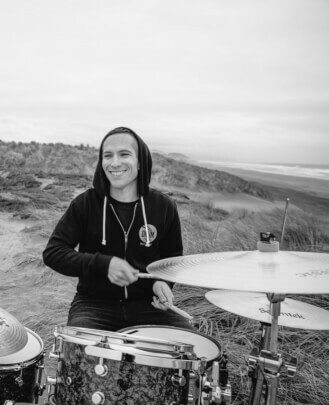 When it comes to teaching music he loves to inspire students to do their best, as well as challenge them to go beyond their goals on the drum set while performing in their own style. 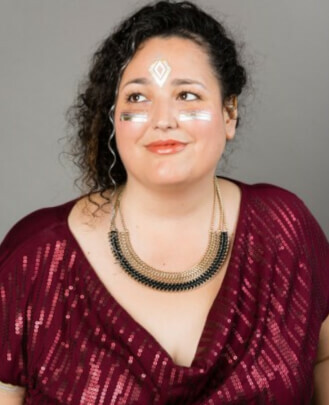 Bekah grew up in Santa Cruz doing musicals with the Mountain Community Theater in Ben Lo-mond and singing acappella harmonies with her sister at family gatherings. She took piano lessons from a young age and in her senior year of high school she began to focus on playing to accompany her singing. That year she also joined the choir at Harbor High School and discovered her love of improvisation in a small jazz ensemble when she was introduced to scatting. She majored in Vocal Performance at Mills College in Oakland where she was thrilled to study everything from classical and operatic techniques to improvisation and early music with wonderful teachers. During her time at Mills she also began composing her own original songs on the many pianos littered across the campus. In her junior year she did a study abroad program in Florence, Italy where she studied voice at an Italian conservatory and continued to write original material. In her senior year at Mills she began giving piano and voice lessons to children. When teaching she feels that the most important factor is that the child is working on learning music that they are genuinely interested in and excited about. 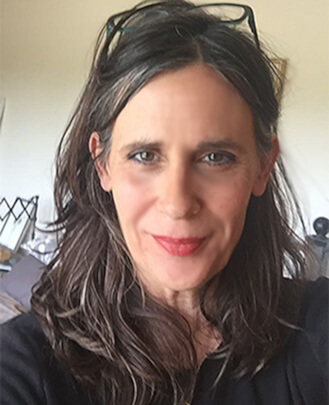 She has been active in the San Francisco Bay Area music scene and writing songs for 17 years and continues to play regularly in small listening rooms and piano bars and restaurants. She has recorded two full-length albums of her original songs and she's currently working on material for a third record. She is constantly amazed and inspired by music's ability to connect people to their emotions and to create a shared experience between people from all walks of life. 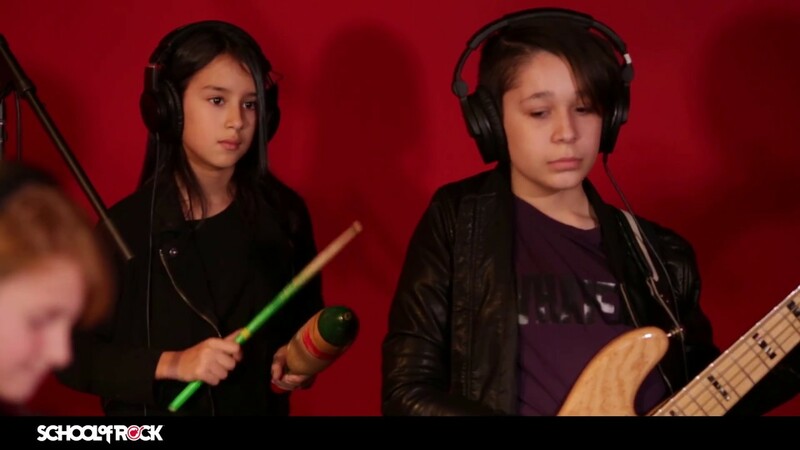 Andres has been fronting rock bands since he was a wee lad. He first picked up the guitar at age 10 and began performing in his early adolescence. 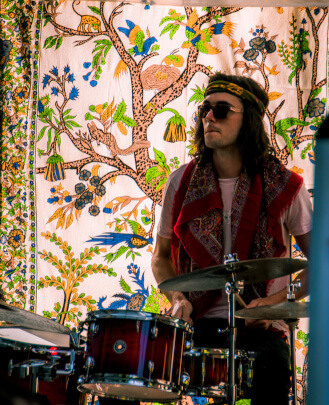 Since he moved to Oakland in 2011, he has spent his time gigging and collaborating with fellow Bay Area musicians. Andres believes in the importance of fostering a creative instinct in his students. Music is a vehicle for self-expression, and he is thrilled to be sharing his passion for songwriting and live performance with the next generation of players. Rafael has over 20 years of experience teaching and performing as a guitarist, composer and producer for his band The Element. At the age of 12 Rafael started playing acoustic guitar and only two years later the electric. Rafael learned and played by ear till he was 17. Hungry for knowledge, he went to study guitar and music theory with Alexandre Lima at the Prediger Music School in Porto Alegre, Brazil. After two years of intense study, Rafael was invited to teach at Prediger School in 1998. In that same year, Rafael realized that he needed a band where he could explore different kinds of music and styles. This created The Element. Besides The Element, he also was part of the Orchestral Choir of OSPA (Porto Alegre Symphonic Orchestra), where he studied vocal techniques with teacher Decápolis de Andrade and with maestro Manfredo Schmiedt. In that period Rafael was part of many important concerts, such as the Mahler 2º Symphony, Verdi Quattro Pezzi Sacri and Beethoven 9º Symphony. 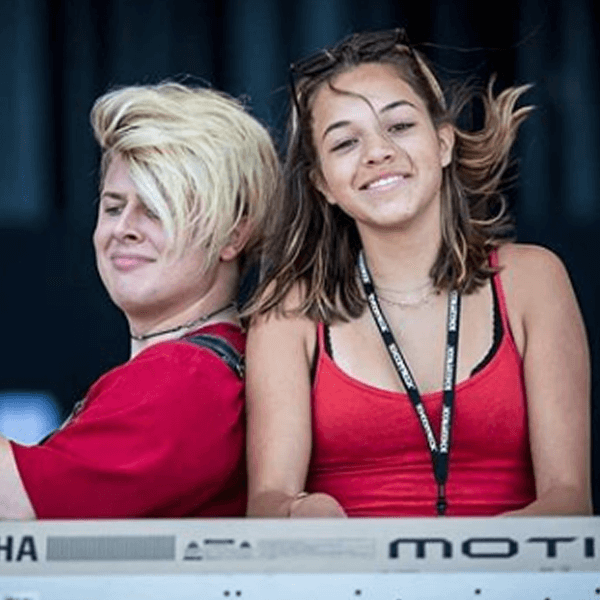 Nowadays, besides managing, producing and composing for The Element, Rafael is a music major in composition at Diablo Valley College, and will be transferring to a four-year school. He also works as a freelance composer/arranger. Toni began studying classical voice at age 13. 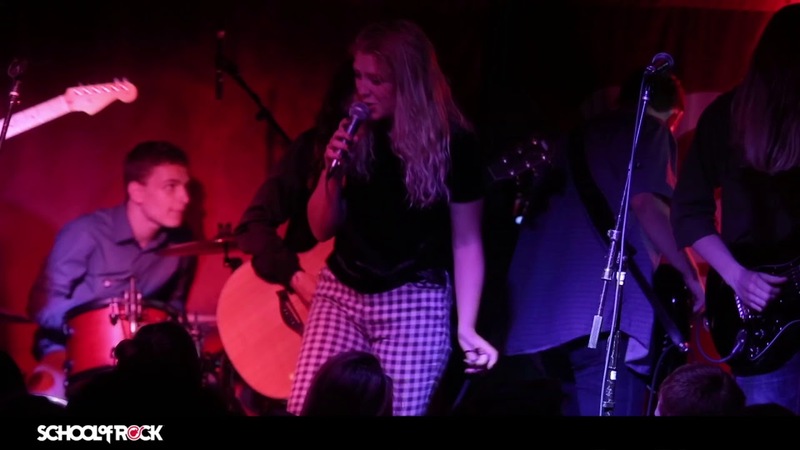 Upon returning to the Bay Area after college, she started singing back-up for a jam band. Tired of standing around with nothing to do while the band was jamming, she taught herself to play bass. 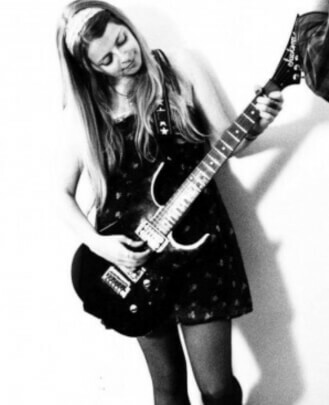 She now plays bass and sings in a multi-genre rock band and as part of an acoustic duo. In addition to playing music, Toni owned and operated a successful organic meal delivery service. After eight years, she closed it down to stay home with her two boys. 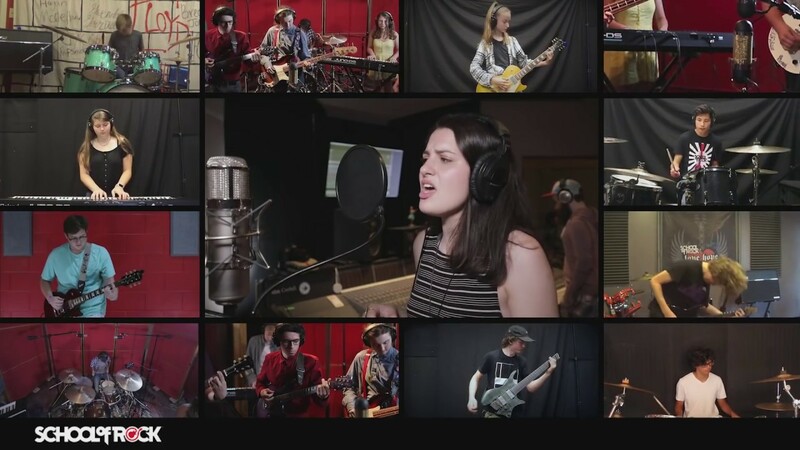 School of Rock is now their second home. She is excited to combine her business experience with her love of music. Since the age of five, Brian Kameya has lived a life around music. He began piano lessons at that age and continued until he was 14 when he taught himself to play the electric guitar. As time passed he would learn the bass, as well as the drums. After some time performing on stage with various bands, he decided to to take a break and focus on the recording aspect. He graduated from The Conservatory of Recording Arts in Tempe, Arizona and spent the next several years working with bands in Los Angeles as an audio engineer. 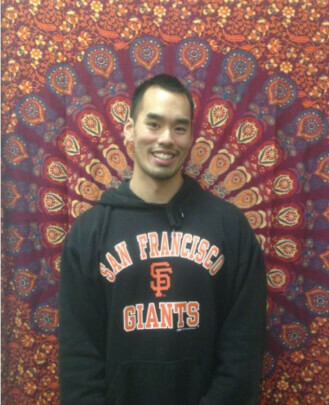 He would eventually return to the Bay Area where he now lives and teaches. One of his many passions is music and he feels that with the right guidance, anyone can share this passion. Since she was a kid, Melanie has always had a fondness for both playing and listening to music. She taught herself how to play piano at a young age and joined the school band at eight years old as a flute player. She also played keys, drums and guitar in the Oakland-based new wave band Subculture, gigging for four years and making friends throughout the Bay Area indie music scene. 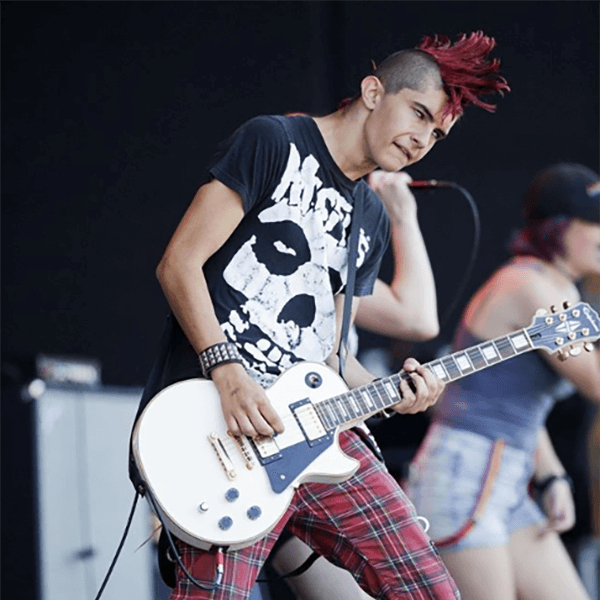 Nick started playing guitar when he was 12 years old, made his first punk band at 14 and has been playing guitar, bass and singing for various projects ever since. He has been involved in the local Bay Area music scene for quite some time now, whether its been on the stage or behind the board doing sound for local events. He graduated from SF State in 2013 with a B.A. in Broadcast Communications with an emphasis in music production while simultaneously managing the student-run radio station KSFS, airing his own weekly radio music show and interning for Alice 97.3 radio. They even let him write and record a new theme song to their "Sarah and Vinnie Secret Show" podcast. 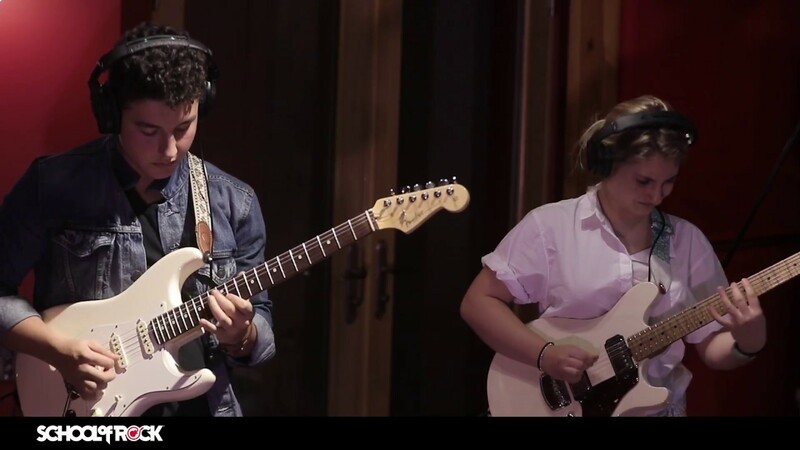 So whether he's working on his next album, collaborating with and recording artists around the Bay with his mobile recording rig, or warming up for your upcoming guitar lesson, he always brings a smile and is willing to put in 100%. A Bay Area native, Robbie Schmitz has been writing and performing music since before he was 10. At age 17 he wrote, recorded and produced his first rock album with the band Can’t Please Becky. 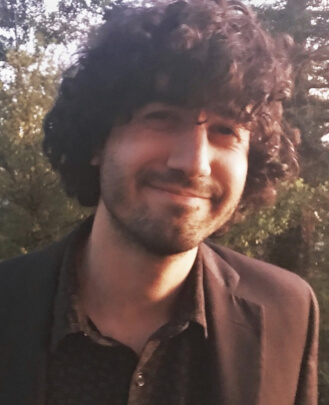 Robbie currently studies composition and theory at Diablo Valley College and regularly performs with the DVC big band as a keyboardist and vocalist. Robbie always seems to have some sort of musical project in the works and is very passionate about making this rewarding art form accessible to all who have a love for music. Ian’s mom played Mötley Crüe for him while he was in the womb, so he has been a rock fan from the very start. Growing up Ian was a huge heavy metal fan, and when he saw KISS live for the first time at eight years old it sealed the deal. That same Christmas, Santa delivered him his first guitar and he started pursuing his dream of becoming a rock star. Since then, heavy metal and playing music has consumed his entire life. He plays in two bands, First Contact and Shirlee Temper, and he loves acting like a maniac onstage. His favorite bands are KISS, Mötley Crüe, Avenged Sevenfold, AC/DC, Pantera, Iron Maiden, Metallica, Black Sabbath and Judas Priest. He prefers high energy, in-your-face music, and also really loves ska, big band and swing, classical and romantic era music. Spreading musical knowledge is one of Ian’s passions in life. 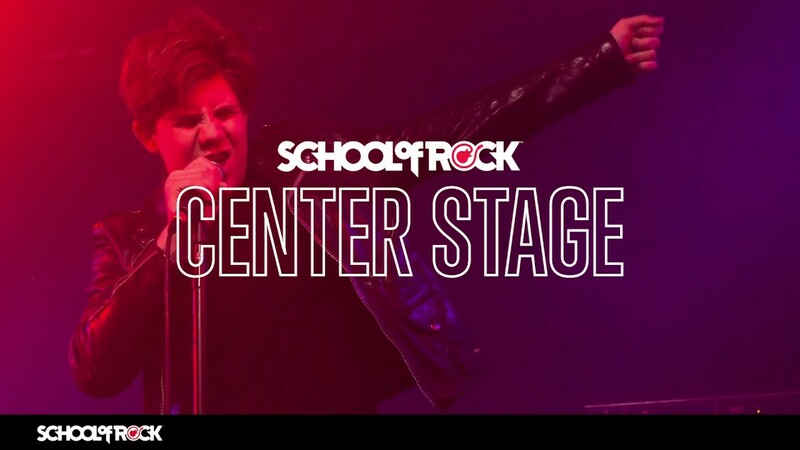 At School of Rock, he hopes to inspire kids to have the same burning flame for music that he does. 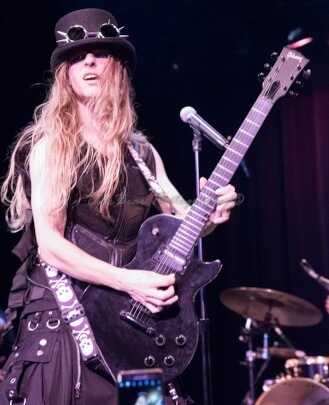 Born and raised in Hayward, California and raised on bands like Judas Priest, Black Sabbath, Soundgarden, Metallica and Testament, Devin was born into metal and has grown into it. 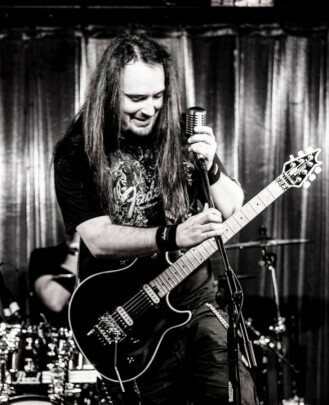 He has been drumming for 14-plus years and has experience playing many genres, mainly consisting of metal music. 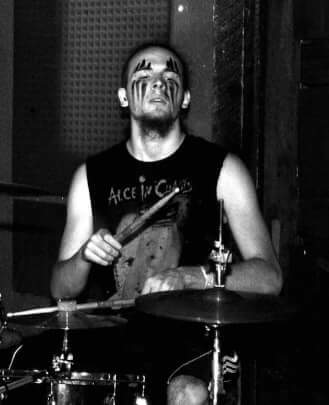 Specializing in double kick drum rhythms and metal based stylings, he started drumming when he was six when his parents were practicing with their band. He then took private drum lessons for eight-plus years. Devin has experience onstage and in studios. He is known as the 'long-haired metal guy' around the school, and always tries to branch everyone out to listen to music they've never heard before. He believes music is the key to wisdom and a fulfilling life. Some of his musical influences now are Lamb of God, Slayer, Primus, Mastodon, Gojira, Bohemoth, Wretched and Fear my Thoughts. Although his tastes are mainly metal, he likes all kinds of music. Sarah Vela is a singer/songwriter born and raised in the Bay Area. She is a graduate of the renowned Oakland School for the Arts and was a founding member of two-time national a cappella champions Vocal Rush. 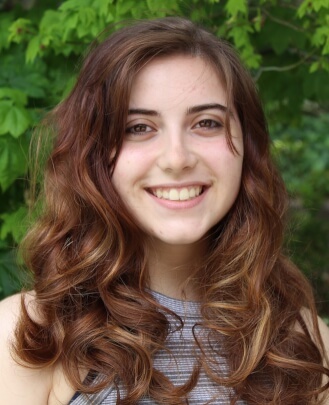 Sarah is the recipient of both the 2012 International Championship of High School A Cappella (ICHSA) Outstanding Soloist award and the 2013 Contemporary A Cappella Recording Award (CARA) for Best High School Soloist. Sarah majored in Songwriting at Berklee College of Music. 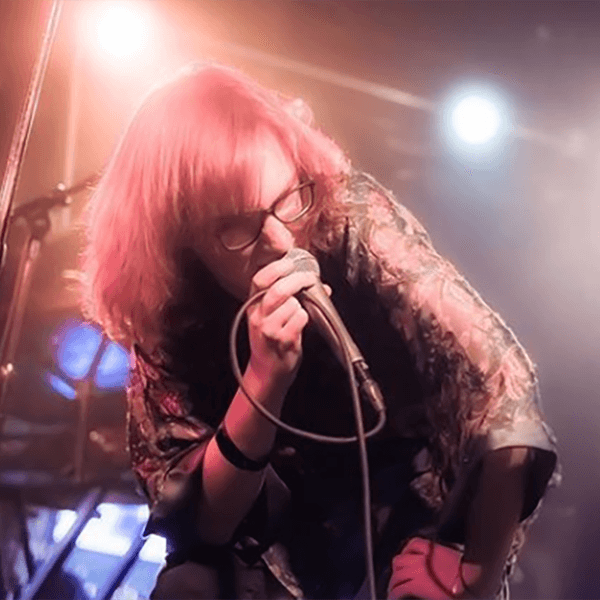 Without the intention of songwriting at first, Sarah found her passion for songwriting and poetry during her time at Berklee. 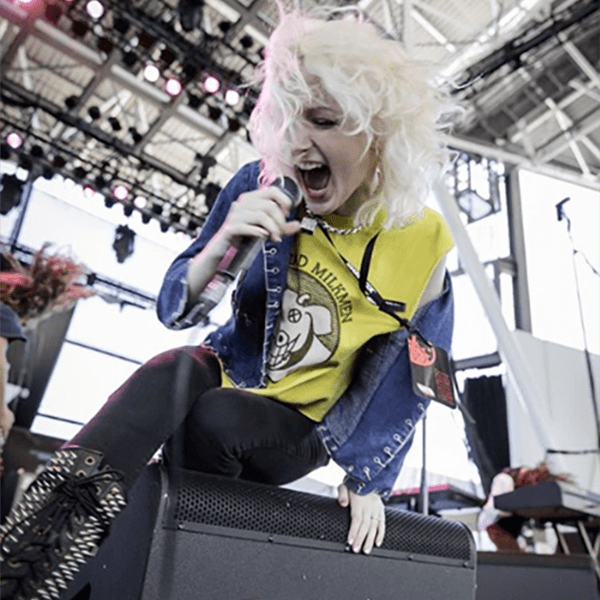 Along with songwriting, Sarah gained a passion for arranging and singing background vocals and performing world music with international friends she made. During her time in Boston, Sarah was able to challenge herself to be the best musician she could be in a very competitive setting. 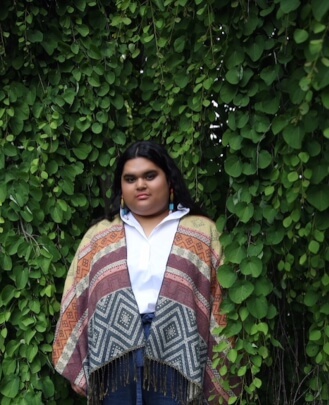 Now back in her home of the Bay Area, Sarah believes in the power of music and is humbled to be able to share her knowledge and skills with the community that poured so much into her growing up. 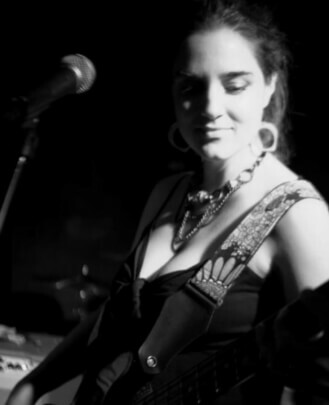 Sarah seeks to create and teach music that heals and has a strong belief in the responsibility she holds by being an artist, musician and instructor. Ryan Glick has been playing for 20 years and has performed professionally since the age of eight. He attended the Berklee College of Music in Boston. After his time in Boston he began playing professionally in bands and studio sessions in the Bay Area. He has played drums and percussion with seasoned musicians in almost every genre of music. He has also been a music educator at music stores, guest clinician at schools and has taught privately for many years in the East Bay. 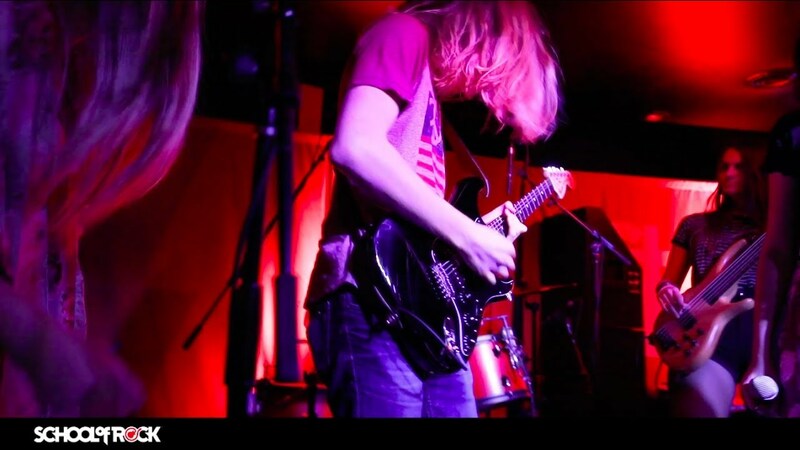 Ryan has performed everything from jazz to heavy metal, as well as country, pop, alternative, punk, funk and Afro Cuban. He has played with some of the Bay Area’s best bands, including Pete Escovedo and his jazz orchestra, Mic Gilette, Boogie Aces, Freeway and Addiction to Affliction to name a few. He has had the opportunity to perform at many events and venues such as the London New Year’s Day parade, AT&T Park, The Whisky A Go Go, The Gilman, Red House, Mcafee Stadium and many more. Isabelle began playing music in elementary school with violin, viola and piano. Through theatre, in the years following she developed her voice in multiple music genres. 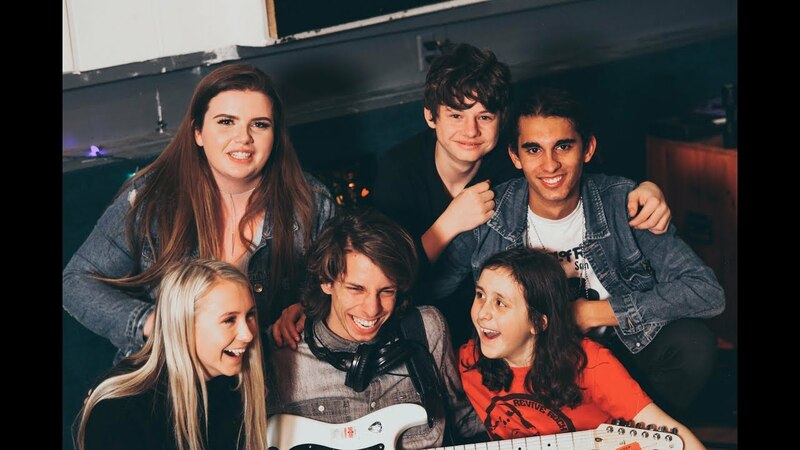 Now she plays viola in orchestra pits in local community theaters, is the lead singer and electric bassist in her band, The Rats, and a happy member of her high school a cappella group, The Harmonix. Besides performing and playing, music has always been a source of therapy and mindfulness for Isabelle. When she's in distress she picks up a ukulele or starts blasting some Frank Sinatra. Isabelle also takes a lot of pride in her widespread taste in music, from 80s synth to current soft rock. Lately, she has become interested in 70s folk, investing in an acoustic bass and reading up on John Denver. Isabelle's love of music has been deeply rooted yet incredibly malleable throughout her life and she hopes to inspire students to find the same passion for playing music and beyond. 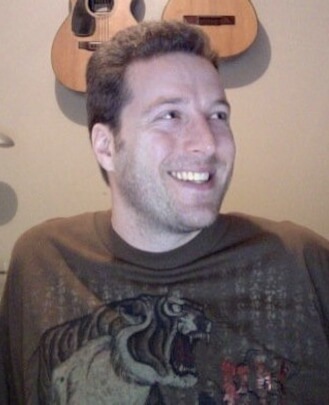 Jake Kessel has been playing guitar and percussion for over 20 years, and teaching music since 2001. He teaches all levels of guitar and congas, as well as beginning piano, voice and drum set. Jake has an M.A. in Music Composition and was Music Program Director at Mission Hills Middle School in Union City for three years. Before that, he was the guitar and percussion teacher at St. Paul’s Episcopal School in Oakland. Jake has also been a music instructor with COVA, Star Power Music, Art and Soul Music Studios, Hayward Music Center and ALMA. Jake has performed and recorded with musicians like Boots Riley, Kent Nagano, Ambrose Akinmusere, Thomas Pridgen and Dayna Stephens. He has played jazz festivals like Montreux, North Sea, Vienne and Umbria. Jake has also performed at venues like Yoshi’s, Zellerbach Hall, Cleopatra’s Needle and Small’s. Jake studied jazz guitar with Steve Erquiaga, Dave Creamer and Jack Wilkins, and percussion with Josh Jones, Ramon "Sandy" Perez and Grupo AfroCuba de Matanzas. He also studied voice with Lazaro Galarraga and Jane Sharp, and piano with Ellen Wasserman. Jake is also a songwriter and music producer. In his spare time he enjoys playing with his dogs and exploring new restaurants and music venues. He also likes learning computer programming. He is a guitar teacher, bass guitar teacher, piano teacher, drum teacher and vocal instructor at School of Rock San Ramon. Kristen Riter was born in Phoenix, Arizona, where she began her performing artist career as an actress at age 16 and starred in the comedy "Student Bodies," as well as several national commercials. Her strong interest in music led her to Europe for international work and studies. During a 20-year residency in Munich, Germany, she engaged in a wide spectrum of musical projects as a singer, composer, studio artist and teacher. She then moved with her family to Spain, where she taught voice and piano for 10 years. She has returned to California and continues to cultivate her love for music and teaching. She is a piano teacher and vocal instructor at School of Rock San Ramon. Tim Russell was raised in a house filled with the sounds of piano and guitar since his parents are both recreational musicians. From that nurturing experience, it seemed only fitting that he was drawn to music as a way of interacting with the world. Tim began his professional career as a musician at 15, playing drums in rock bands around the Chicago suburbs. His passion for music and percussion deepened as he attended the University of Wisconsin, where he eventually graduated with a BM in Percussion Performance. 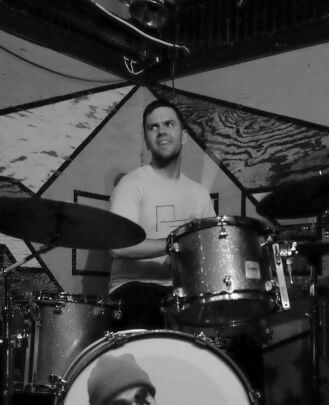 From there, Tim went on to become an in-demand educator and top-call session drummer in South Eastern Wisconsin, performing and touring in a vast array of ensembles including Foreign Goods, The Ethan Keller Group and Complexcomplex. 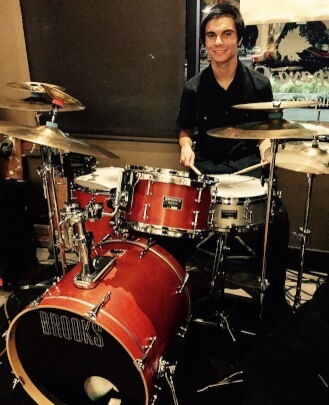 He is a drum teacher and piano teacher at School of Rock San Ramon. Aaron Hoffman was forced to take piano lessons when he was young but his love for music was inspired at age 14 when he started to play bass with a friend who was learning guitar. He then joined a jazz combo at the Berkeley Jazz School, where he also played bass. He naturally gravitated towards drums as well, beginning to learn on a friend's kit that was left behind at his house after a rehearsal. Aaron frequently attended jazz band performances and music appreciation events at his high school. He also started playing shows with his band while he was in high school and has continued to play out with many projects over the years. Aaron has studied music at Diablo Valley College, where he focused on theory, jazz improv and songwriting. He was in a Beatles combo for a couple years and then his interest swiftly changed to all things punk. Over the years he’s also delved deeply into jam bands, garage rock, prog rock and math rock. Ultimately he finds improv to be the most fulfilling, but he loves working with his students. He enjoys exploring unconventional ways of learning music and seeks to inspire a love for music in his students that will help guide them as they take their first steps and beyond. He is a guitar teacher, bass guitar teacher, piano teacher and drum teacher at School of Rock San Ramon. Christian Lofaso has been involved with music since a young age. Growing up, he listened to rock bands like The Beatles, Metallica and Led Zeppelin. He studied with local teachers to learn to play piano and drums. 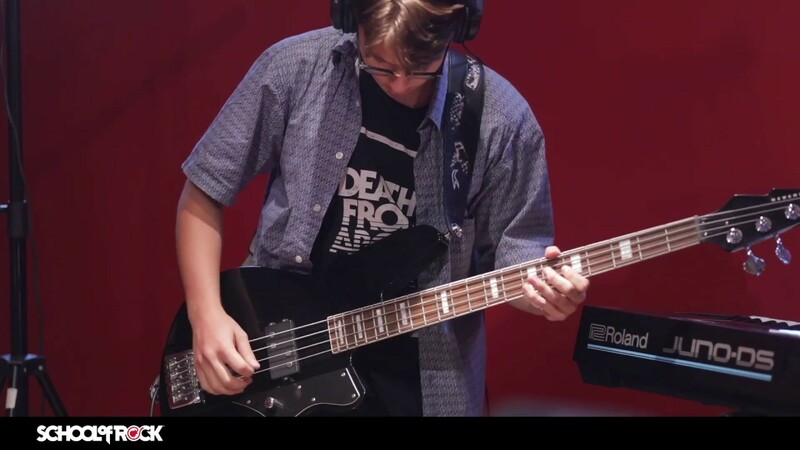 In addition to these private lessons, he taught himself how to play bass and guitar. Christian went on to study music and production at Diablo Valley College and got his Associate of Arts in Music Industry Studies. 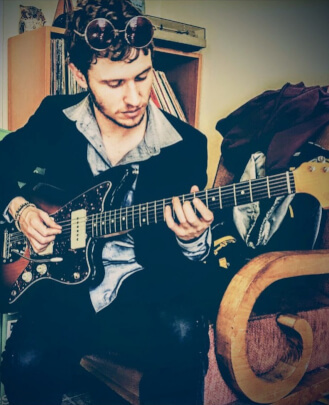 He currently plays bass and writes music for his band, which consists of sounds influenced by Tame Impala, MGMT and Pond. Christian has been playing piano and drums for 12 years, bass for two years and guitar for one year. Christian has a strong passion for teaching. He has a lot of experience with collaboration and wants every lesson to be a fun, exciting learning experience. He loves sharing what he knows about drumming and music in order to help students grow as musicians and help develop their own unique sound. He is a drum teacher at School of Rock San Ramon.